Artichoke pitched to our Partnerships Panel, and our Cultural Connectors agreed to support the chance to be part of creating a large scale light installation which was part of the ambitious Lumiere London project. 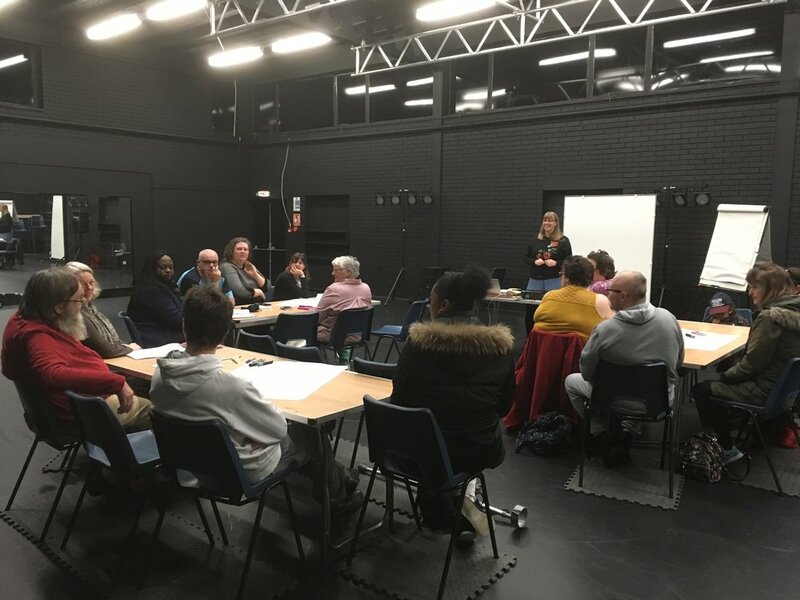 The Cultural Connectors joined Artichoke Producer Louise Dennison to develop a series of workshops for local community groups and local participants from the borough of Barking and Dagenham. These provided an opportunity to develop team building and social skills as well as meet new people and neighbours from the borough. This all helped create a cohesive group who, from the 15th of January to Monday 22nd January, all helped to create a unique installation titled ‘Entre Les Rangs’ by Rami Bebawi . This installation features thousands of illuminated flower-like reflectors as a tribute to fields of wheat that shimmer in the wind as the seasons pass. Rami Bebawi / KANVA treats each project as an opportunity to transform the built environment while telling stories. Each project is engaging, memorable and sensitive to human experience and contemporary culture. With visits from the Arts Council England and more than 1.5 million visits to the festival over four nights, Lumiere London drew to a close on Sunday 21st January 2018. As part of the partnership Artichoke also delivered a day of training and development for Cultural Connectors to learn new skills and develop knowledge of producing and fundraising for arts festivals as well as the chance to build confidence in networking. Lumiere is produced by Artichoke, the UK’s leading producer of outdoor art events. Founded in 2005 by Helen Marriage and Nicky Webb, the Artichoke’s aim is to work with artists to create unique, large-scale experiences that appeal to the widest possible audience. The UK’s largest light festival returned for a spectacular second edition. London’s iconic architecture was transformed into a dazzling nocturnal art exhibition. Visitors could explore over 50 installations in six locations across the north and south of the River Thames. Artichoke’s projects take place outside of traditional arts venues, with previous projects including bringing central London to a standstill with The Sultan’s Elephant and burning a 140m-long (460ft) model of 17th-century London on the Thames for London’s Burning, to mark the 350th anniversary of the Great Fire of London. A massive THANK YOU to everyone who volunteered and played a part in the incredible installation!